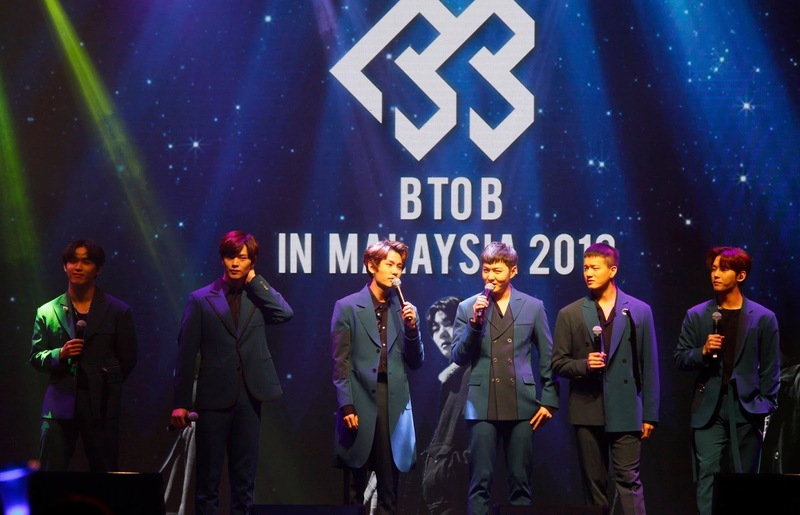 As we're so close to the end of 2018, we’re pretty sure that BTOB has made Melodies' year even more special as they held their first fan-meeting in Malaysia on 16th of December (Sunday) at MITEC’s Ballroom, Kuala Lumpur. Although this was not the first time BTOB has ever visited Malaysia, this fan meeting in particular was a very meaningful one for Melodies. As you might not know, it will be the last overseas promotions for BTOB members Minhyuk and Changsub before their military enlistment. Hence, the venue was filled with over hundreds of Melodies that travelled all the way from different cities and countries including Indonesia, Thailand, Vietnam, Taiwan and South Korea - uniting together with Malaysian Melodies to show their love and support for the boys for one last time. It is obvious how excited Melodies are as most of them wore matching blue outfits to fit in the theme of the fan meeting - proudly showing off their cute banners and unique fan light sticks that come in the form of saxophones. As they waited patiently for the BTOB, the lights suddenly went off and fans started screaming as the VCR intro came up, the crowd went wild as BTOB members finally made their grand entrance with their first song, Missing You. While most k-pop groups started off their shows with charismatic and fast-paced songs, BTOB surprisingly wow-ed the crowd with a soft ballad as their first opening track. 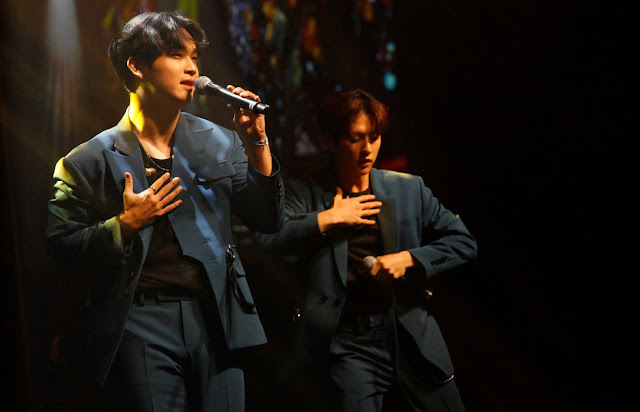 The boys’ stage presence was incredible, their distinctive vocals were incredibly stable and smooth as they tried to hit the high and difficult notes. Melodies sang their hearts out and fan chants echoed the whole venue, waving their light sticks energetically to their heart-wrenching performance. The boys took a short pause to properly introduced themselves to the fans. As BTOB is known for being a 7-member group, which consist of leader Eunkwang, Changsub, Minhyuk, Hyunsik, Peniel, Ilhoon, and Sungjae. However, this time there were only 6 members attended the show as Eunkwang is already in the military. “This is our first fan meeting in Malaysia without Eunkwang, but he will always be forever in our hearts.” said Changsub. BTOB continued to entertain the crowd with their songs including Friend, It's Okay and Climax. One of the highlights of the night was when BTOB members were very enthusiastic about learning the Malay language! Hani, which was the MC for the night – taught the boys on how to nail the famous Malay jargons and words, including “Lek lu!” (Relax first! )”, “Cepat Sikit!” (Hurry!) and “Sayang awak!” (I love you)! Check out the video below to listen to what the boys have to say! The boys continued to perform other hit songs including Movie, Blowin’ Up and Beautiful Pain! 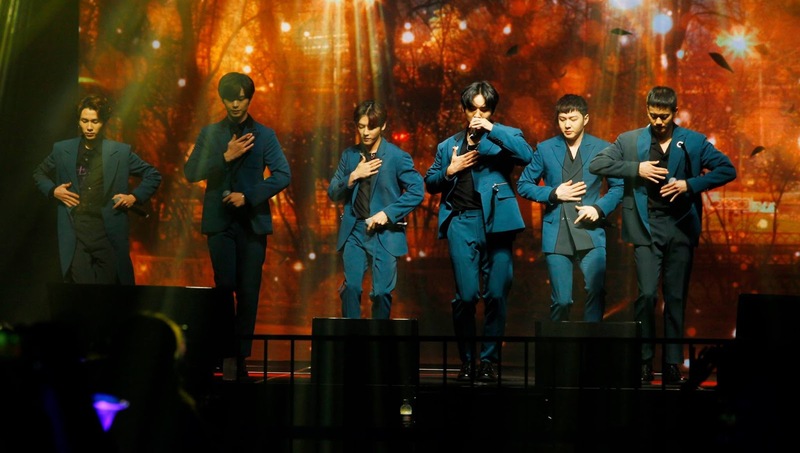 Aside from their amazing vocals and cool rapping, the boys are just natural entertainers and their personalities were more than enough to make Melodies’ hearts full and happy. If there is another opportunity that will fall onto their laps, BTOB promised to return to Malaysia with complete 7 members. Let's grab our tissue boxes and wait for their return Melodies! We would like to express our gratitude to WE Entertainment for inviting us to BTOB Fanmeeting in Malaysia 2018.